Chinese Alligators (also known as Alligator Sinensis) like to burrow during the winter. They'll enlarge chambers inside of these burrows which are typically around 150 x 70cm in diameter. These chambers are where the species will spend their time when inside the burrow. The entrance is partially, or sometimes completely hidden from sight; usually this is achieved using vegetation surrounding the entrance. This applies to around 72% of alligator burrows. Around 85% of burrows are in close range to the water's edge; within 5m is ideal. There's a tendancy for Chinese Alligators to build their burrows so that they are south-facing. 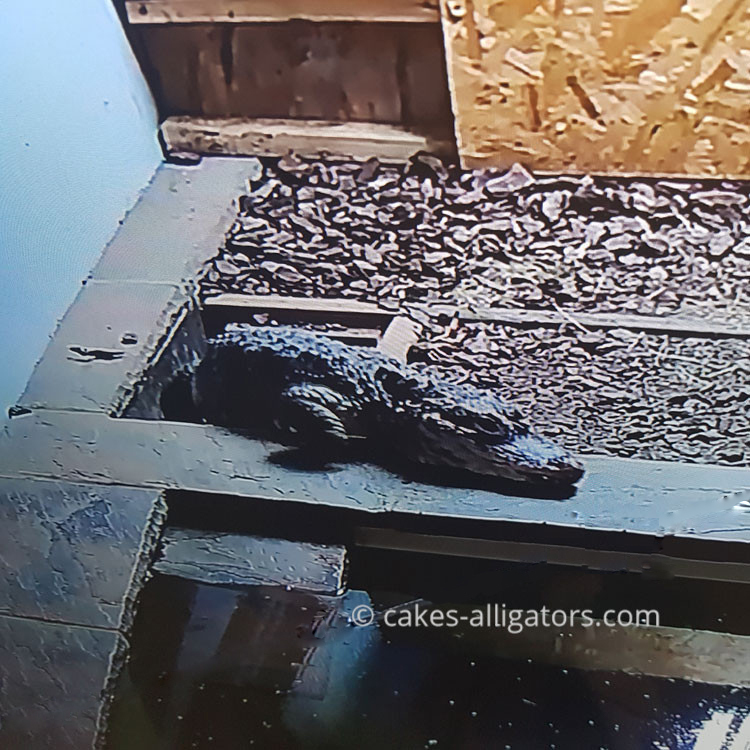 Burrow lengths vary depending on whether the alligator is in the wild or captivity; in the wild, the typical length is anywhere between 10 and 25m and have an average entrance width of around 40cm and a height of 35cm. Captive burrows are between 1.7 and 6.8m in length.